So thaaaaat’s who bought it. 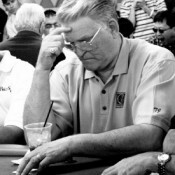 The Entities who comprise Wicked Chops Poker have learned from a reliable source inside Cake Poker that the aforementioned Cake Poker has purchased T.J. Cloutier’s 2005 WSOP bracelet for $4,006…. T.J. Cloutier Selling WSOP Bracelet on eBay?